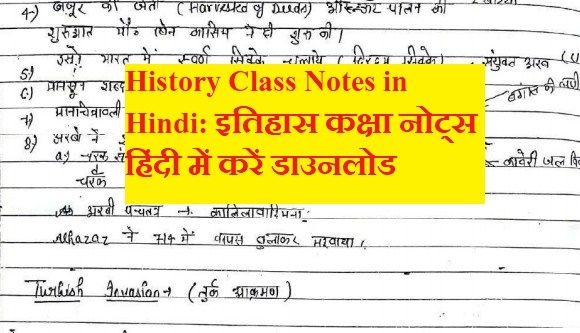 Hello Friensd, Today, I am sharing a odf file of History Class Notes in Hindi . History Class Notes is very useful for the upcoming any competitive exams like uptet, ctet, tet, shikshk bharti, SSC CGL, BANKING, RAILWAYS, RRB NTPC,UPPSC, UPSC,PCS,IAS LIC AAO, and many other exams. History Notes are very important for any upcoming exam. 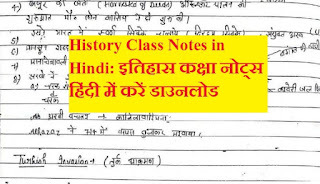 History Class Notes download in Hindi is very useful for exam. You can download this from below links.